NUREMBERG NEWS! 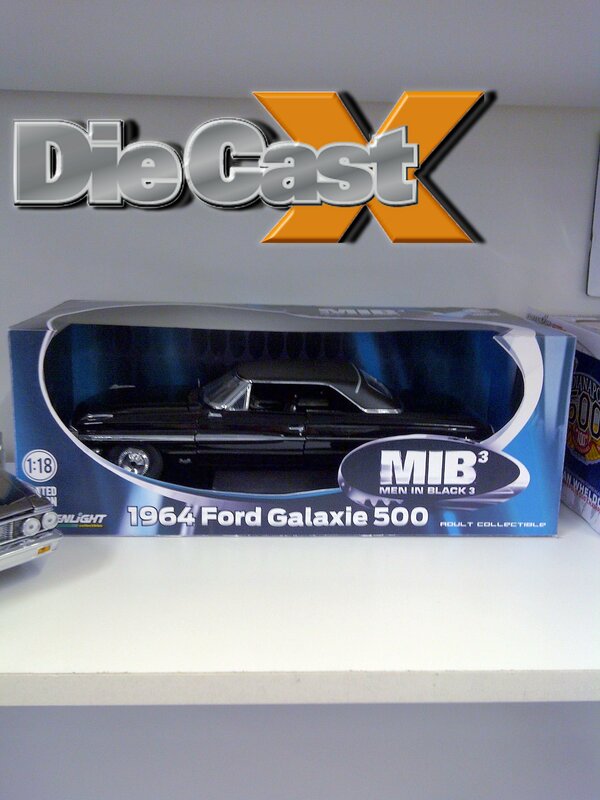 Greenlight Mustang II / MIB3 Movie Car is a Galaxie 500 / New BBR tooling…. 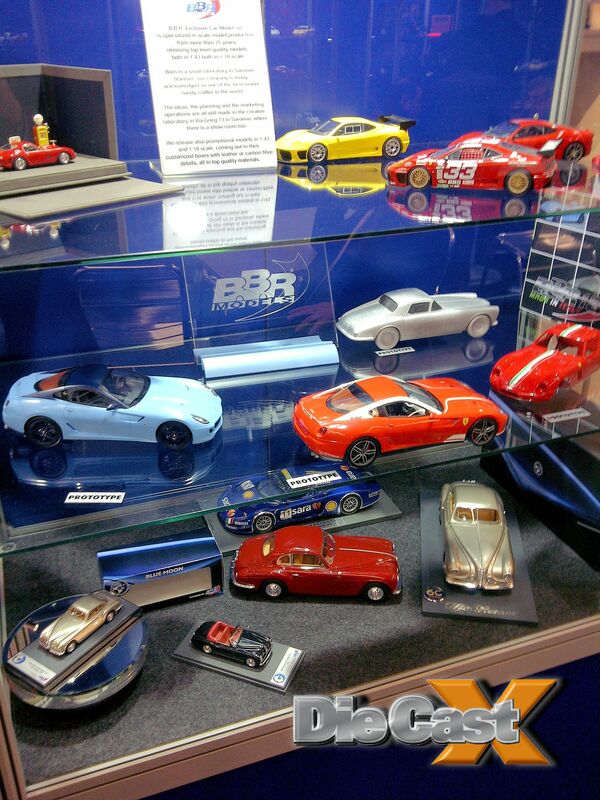 Our man in the street – actually man in the showrooms – Andy Goodman is starting to send back images from the 2012 Nuremberg Toy Fair, and there’s some great stuff on the horizon, as seen in these quick snaps. 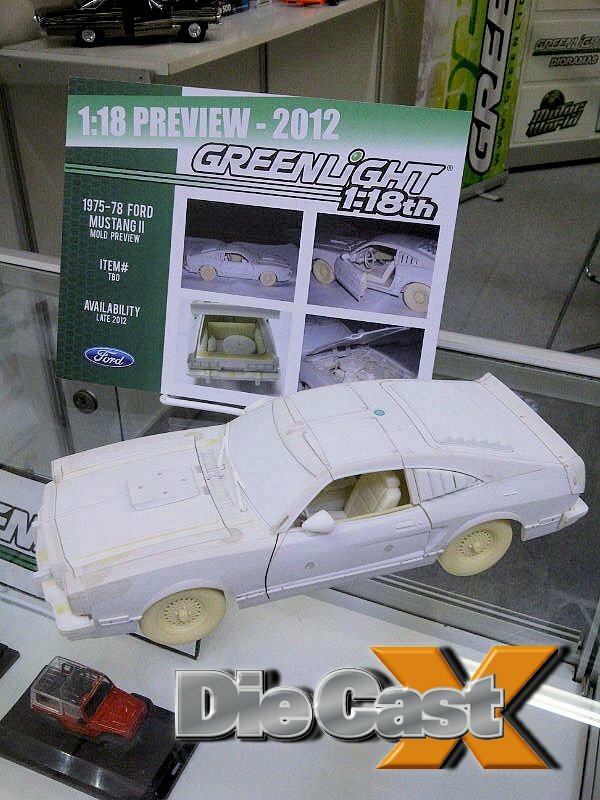 GreenLight is tooling up an all-new Mustang II in 1:18 high-detail; this resin looks like it’s going to be a great looking car – we can’t wait to see the Cobra version; also from GreenLight is this 1964 Ford Galaxie 500, deco’d as a movie car from the feature film Men In Black 3, coming this summer (sourced from the old Sunstar mold set, in a new deco; GL has improved every mold they’ve done this to, so this one may have some new details), and lastly, a brace of prototypes from high-enders BBR in 1:18 and 1:43. The subjects: Ferrari and Alfa Romeo; these models routinely emerge as high-end, high-detail pieces of the very best quality. We’ll be doing more in-depth coverage as the days go by – and bringing you the best of the show in in-hand reviews in the coming weeks, and in the pages of Die Cast X magazine! I am a Mustang Die Car 1:18 Scale collector. i have around 80 of them. Its a good news that Greenlight is planning to build the Mustang II in this scale to complete my collection. I hope we can find it in Hard top, Fastback and Cobra Versions. I wil buy it immediatelly. Carlos, you sound just like me. I’ve also got about 80 Mustang 1:18 models as well as 500-600 1:64 Mustangs displayed both in packages and out of display packages in cases. Been waiting for 15 years to get some Mustang II’s to complete my collection. Unlike lots of Mustang fanatics, I have always love the Mustang II as well. In fact, I own the Ultimate Mustang II now, a 1978 Monroe Handler. It’s one of the original 7 built in 1978 for the Monroe Shocks Ad Campaign.